With the cloud and streaming media, DVDs were at a risk of becoming obsolete. That risk is a thing of the past as researchers have discovered a new method of cramming 1,000 terabytes, or a petabyte, onto your typical DVD. Though the technology isn’t complete, the revival of the DVD is on the horizon and the use of this well-known storage method may change forever. If you have a DVD laying around, then you may see the numbers 4.7 gigabytes on the disc. This is the maximum capacity of a DVD based on current burning methods. This number is dictated by one thing, the laser used to burn the DVD. 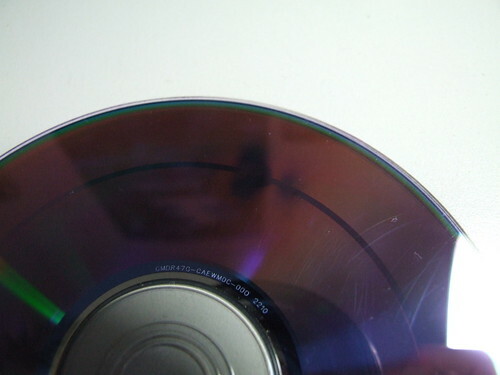 The amount of data placed on a disc is limited by the width of the laser used to burn the data. Currently the width of the laser in mainstream burners will only allow the 4.7 gigabytes worth of data we are used to. The laser burns your data onto the disc as dots, to be read by your DVD player or drive and deciphered back to a readable file. The dimensions of the dots are what cause the limitation in storage capacity. In the year 1873, a scientist named Ernst Abbe published a law stating the diameter of a spot of light focused through a lens cannot be smaller than half its wavelength. For visible light this is 500 nanometers. This is the law that limits the laser in a burner to be smaller than it currently is. But as with many laws, there is always a loophole. In science, laws cannot be broken, but they can be bent or worked around. As technology grows, the laws of yesterday can be bent. Imagine you are writing on a piece of paper and want to write as much as possible. The easiest way to do so is to write smaller and use a pen with a smaller tip. For DVD burning this is the case. If you want smaller dots, you have to use a smaller laser. 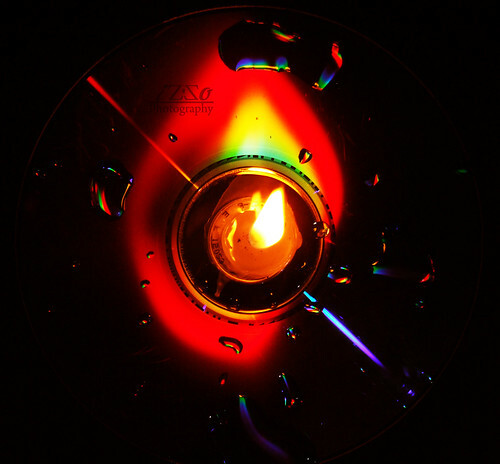 Three Chinese researchers have discovered a method of creating a smaller laser for burning DVDs without breaking the laws of nature. Rather than just utilizing one laser, the new burner will use 2 lasers. One laser, the writing laser, will be surrounded by another laser, a laser that cancels writing. The width of this second layer will overlap the writing laser, canceling the writing of the outer circumference of the laser, creating a smaller laser beam. This smaller laser would then allow users to burn more data onto a DVD. To grasp the concept easier, imagine you turn on a flashlight and point it at the wall. You get a large round beam of light. If you want to make that beam smaller, you cup the flashlight with your hand, blocking the outer portions of the light and creating a smaller circle escaping from the center of your hand. The second laser would act as your hand, only allowing a small portion of the writing laser to do its job as the outer portion of the writing laser is cancelled out. The researchers believe the new 2 laser method of DVD writing will allow the capacity to jump from 4.7 gigabytes, to a massive 1 petabyte. The technology is exciting, even though there is still so much to consider before reaching consumers. For instance, the time it takes to burn 1,000 terabytes, and what kind of technology would be needed in order to read the new smaller dots. Once these answers are found, you can rest assured your entire 16 seasons of South Park will be available on one DVD.